Dutton/Dunwich Opponents of Wind Turbines | Mothers Against Wind Turbines Inc. Cost Benefit, fighting big wind., Green Energy, Unite the Fight! In light of Energy Minister Glenn Thibeault’s recent announcement suspending LRP-2, we are now calling on the provincial government to also cancel the recent LRP-1 contracts, including the Strong Breeze Wind Project in Dutton Dunwich. 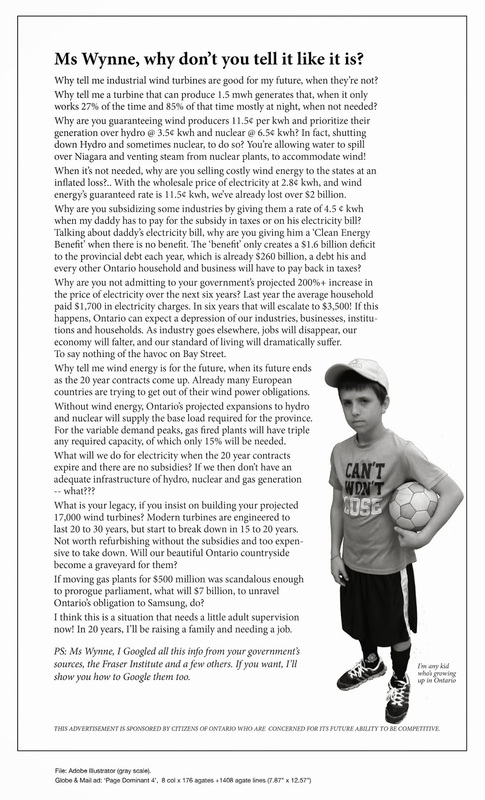 Ontario does not need the energy and this cancellation would save Ontarians Billions of dollars! We need your help by participating in our letter writing campaign. It is easy and will only take a quick moment of your time. Below you will find a copy of the letter we are asking you to sign. All you need to do is send us your email address, either in an email to info@ddowt.ca, or in a private message through Facebook. You will then be emailed a ‘DocuSign’ to sign. Simply open it and follow the on screen instructions to review and sign the letter. Once we receive your signed copy, a hard copy will be printed and mailed to the addressees stated in the letter on your behalf. We encourage each member of your family to sign a copy of the letter. Just send their email address and we will send a separate letter for them. Rest assured that any information you provide will remain confidential, and will be used only to send these letters . If you would prefer to mail a copy of the letter on your own, contact us and we will provide you the necessary information and addresses. In addition to the letter writing campaign, our DDOWT volunteers will be going door to door with a petition to show the strong support in our community for cancelling this project. Please participate in both of these efforts as they are absolutely necessary for added pressure on the provincial government. If you would like to sign the petition, but do not receive a visit by the end of November, please contact us through email or Facebook. Thank you for your continued support! The fight is not over! !